I needed structure, and this gave it to me. Going from “eat these exact things” to “eat everything except starch” just didn’t work for me. Also, the Phase 3 program helped me to eat a lot of things I wouldn’t have, so I learned that my boundaries aren’t near as restrictive as I thought they were. It allowed me to have a meal with my family, I literally haven’t done that in years. I did the original plan, it came out the day I started P3! I tailored it slightly, when necessary (we don’t like mushrooms), and it was perfect! I had a mug bread for lunch every day, with an added scoop of protein powder because that was so easy to take to work. I love following lists and spreadsheets, so I looked at the weeks recipes, put them on our menu and went for it. I cook breakfast and dinner every day already, so it just wasn’t hard to do, also my daughter and I have been gluten free for years, so this worked really well for the whole family, and we were familiar with most of the ingredients. I didn’t have to do a single correction day! I did Phase 3 for 4 weeks, because I know my body, I never went more than 1.8 lbs over my LIW, but for 25 days of the 28 I was within 1 lb! They were perfect for me…I have an issue where I rarely feel full, so volume and quantity are a huge deal for me, also I’m feeding a weight lifting teenage boy who wants to eat healthy but wants to get full. Everything was delicious. I had never tasted curry before and was so surprised that we loved it. If there was an ingredient that we just don’t like then I replaced it. I used riced cauliflower several times and the taste and volume of it was great. I was just so thankful to learn that I can eat a nice variety and volume of food and still maintain my weight. Girl you are on FIRE this is perfect!!! Thanks so much! There are just some days that I’m “craving something” and this will allow me to create a meal for that craving! I usually stabilize on a ketogenic diet. As matter fact I have been keto for five years except for when I am doing hCG. Here’s the thing I don’t want to live the rest of my life this way! It’s too hard to stay under 25 carbs a day, one slip up and I’m up 3 pounds. So this last last round of hCG I did to lose some pounds I had gained, but also to force my body to lose weight at 30-34 carbs each day on phase 2. I am trying to truly resent my body so in phase 3 I make sure I get at least that many carbs each day. . I am on day nine of phase 3…. and I am still within 1 pound of my LIW!!!!!! I made the spaghetti squash and meatballs last night, I purposely waited until week two because I know spaghetti squash generally will make me gain 3 to 4 pounds overnight even if I only have half a cup….. I had an entire cup and no weight gain. My body was so sensitive that I couldn’t have anything like a mug bread even though it was fiber carbs….my net carbs had to be below 25 and my total carbs could never go over 35 so I was getting very little fiber. Like I said before, I always cook so I think I was lucky. I work part time, 5 hours a day, so I just come home from work and start cooking every day! YES! I stabilized with keto 2 times, and didn’t stabilize at all 1 time. My biggest struggle was knowing what to add and when, and keeping my carbs so low that I could never add any back in. That’s why I gained the 28 pounds last year, I just started “eating normal” and ballooned up. With the Phase 3 program, I started out with more carbs per day than I have had in years (excluding my 4 months off the wagon) and still maintained, so knowing that I can have those “extra” carbs will make P4 so much easier. Hey! Things are going really well! Today is actually my last day of phase three, however, my body is so sensitive I’m going to do it for another week and then I will just do a modified phase 3 probably for ANOTHER week… I can literally gain 10 pounds in one week so I’m going to work this like Atkins and add five net carbs a day for the first week and then 10 for the second and so on and so on…what do you think about that? I’m still within 1 lb of my LIW!! WooHoo!! Hate to sound like a broken record, but again it’s the carbs! It is really difficult to live at 20ish carbs a day for years on end and just learning that my body can have them is life changing. HCG is hard, emotionally and mentally hard. Its just not worth doing if the loss isn’t going to “stick”. Rayzel’s Phase 3 to life plan made it stick for me, and taught me that I can eat so many more things than I was before. 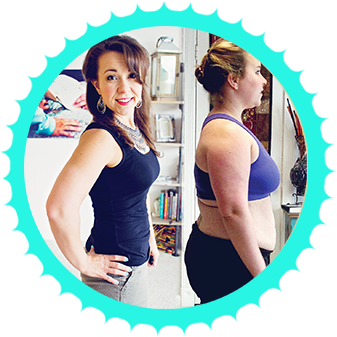 It helped me not to be scared of healthy foods that I hadn’t eaten in years because of their carb count. I consider myself pretty educated in diet and exercise, but I still learned from this program, and I think others will too. Also, I truly believe that everyone needs some structure after being on a round of HCG… too much freedom is hard to deal with, we tend to reason ourselves into believing that 5 spoons of peanut butter is OK because we got the sugar free kind…LOL. The P3 plan gave me that structure and allowed me to ease back into real life, one step at a time… or should I say one spoon at a time? Don’t you even apologize for the delay! I can’t imagine how busy you are! I just wanted to make sure that it wasn’t right before my eyes and I wasn’t seeing it, this is a frequent theme in my life LOL. Yes the P3 program definitely helped me to stabilize easier than ever before, I would be happy to do an interview with you! I didn’t follow it exactly, because I don’t eat pork, and I didn’t want to buy salmon for my large group but I replaced these things with chicken and just tweaked it a little bit… but everything I ate was on your plan with the exception of homemade chicken fried rice made with cauliflower rice but I felt like it still fit in;) it really helped me to see the calories I should be aiming for, and the carbs I should be aiming for. It gave me so much more variety than usual because it just seemed like at the end the day I was eating a bunch of almonds and string cheese every day and never having a real meal when I stabilized in the past. I am a visual learner, and I am OCD with organizations so just seeing things in the calendar format made it click in my head. Side note, my husband had been on 25 pounds when he was injured on the job, he has a very physical job and cannot do something as strict as hCG, so he did phase 3 plan with me, along with a protein shake for lunch, and he lost 15 pounds in those three weeks, also my son is heavy into body building and weightlifting and he is “cutting” right now and he has been able to eat every meal, so that has been so great too. I hope you found that encouraging that stabilizing IS doable, and it’s doable in a way that is pleasing to your taste buds. Without being deprived. Without fear and anxiety. This is proving to be a very reliable method for stabilization – honestly even more successful than I could have hoped for. Remember, you can enroll anytime. I would recommend however IF you are going to try P3tolife to enroll at least a week BEFORE P3 starts if at all possible so you have time to familiarize yourself with the program and plan ahead. Love hearing the success stories and this was a big wake-up call for me since I had planned on going Keto after P3. I think I’ll just go on to P4 and remain true to your hard work and research during P3. I go to P3 in 7 days after a 40 day P2 session. Aww thanks for this comment Patrice! Keto is a nice option to have for people too. I think what’s nice about the approach with P3toLife is it really is a way of eating that feels “normal” in the sense that you can see yourself eating that way for life. I think that’s the appeal there because Keto as effective as it can be for some conditions and things can be really hard to do long term because it’s so limited. It’s just nice there’s choices out there for what we can try right!